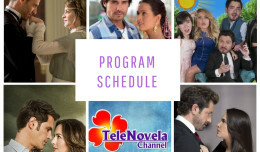 Passion: Episode 66 | TeleNovela Channel - Bringing you closer to lifes drama. Francisca warns Lisabeta that people might think ill of her because she shouted at Ascanio. Lisabeta tells Francisca that she will never marry Alberto and plans to leave immediately as soon as she gets her inheritance. Meanwhile, Jorge declines to help Alberto with his romantic problems while Ursula reproaches Vasco as he refuses to see Ursula. Meanwhile Ricardo and Alberto get into a confrontation.